Thanks to the Internet, anyone can easily uncover your past mistakes. Fortunately, the expungement law specialists at Elder Brinkman Law have helped individuals throughout Michigan to expunge their records — or erase those mistakes so that they can move on with their lives. We can even help you to erase a past conviction. Almost every potential employer will do a background check of some kind before they consider hiring you. The expert attorneys at Elder Brinkman Law have made it their mission to provide people with a legal service aimed at clearing their criminal records and helping them to move forward with their lives. We currently accept expungement cases in Michigan including cases from Wayne, Oakland, Macomb and Washtenaw counties. The benefit of clearing your record is that you can pass a background check, avoid answering embarrassing questions about your past and legally say that you've never been convicted. 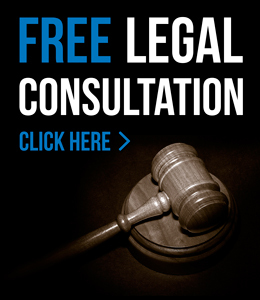 Our attorneys consist of former prosecutors and experienced criminal defense attorneys. Let us help you get your life back. For more information about the reputation management attorneys at Elder Brinkman Law or to schedule a free initial consultation regarding a criminal charge, contact our office today or call us directly at 313.582.5800.